From the makers of Mascarpone cheese. 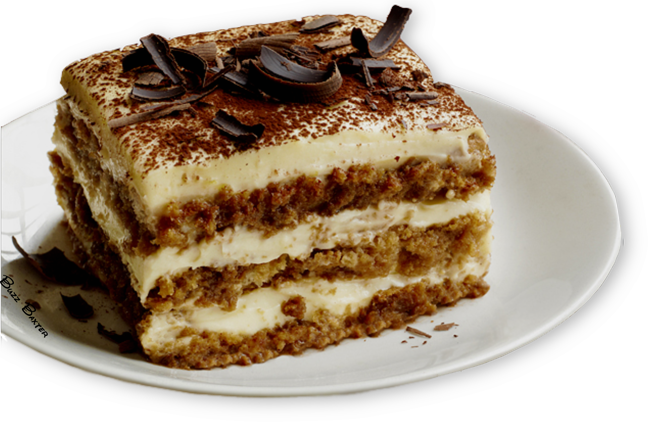 You are going to love this Italian dessert! large mixing bowl. Beat 2 to 3 minutes. 2. Add Mascarpone and beat 3 to 5 minutes until consistency is smooth. mixture forms stiff peaks. Gently fold into Mascarpone mixture. and layer on bottom of serving dish. 5. Spread 1/3 of Mascarpone mixture and sprinkle with cocoa. 6. Continue layering and finish with a Mascarpone layer. 7. Sprinkle and refrigerate 1 hour before serving.